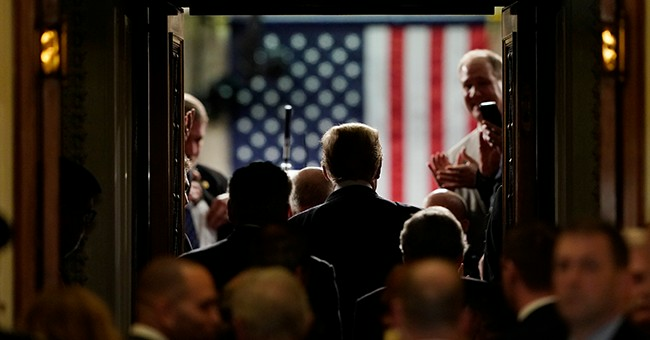 President Trump, in his State of the Union address, hammered a stake in the floor of the House of Representatives, “America will never be a socialist country. … We were born free, and we will stay free.” A government big enough to give citizens all they want is a government big enough to take from them all that they have. President Thomas Jefferson cautioned: “What is necessary to make us a happy and prosperous people? A wise and frugal government, which shall restrain men from injuring one another, which shall leave them otherwise free to regulate their own pursuits of industry and improvement and shall not take from the mouth of labor the bread it has earned.” Instead of taking the wealth of the rich, citizens should try using their good old American work ethic. It’s that drive over two centuries that has made America the most respected and prosperous country in the world. Socialism has never worked, but politicians like Vermont progressive Sen. Bernie Sanders keep trying: "It is time for our country to join every other major industrialized nation on earth and guarantee health care to all citizens as a right, not a privilege." In an interview, Rep. Alexandria Ocasio-Cortez explained, “People are going to have to start paying their fair share in taxes.” Democrats vying to become their 2020 presidential candidate are calling for universal health care. Even Ocasio-Cortez’s plan to raise the top tax bracket to 70% won’t come close to covering the cost. Do the top 1% rich world citizens have a moral obligation to pay 70% of what they make to cover the world?The “top 1%” of the world’s rich must be an exclusive club with money to spare. According to the Credit Suisse Global Wealth Report 2018, the top 1% of adults account for more than 47% of household wealth globally. But surprisingly, The Global Rich List indicates that an income of a mere $32,400 a year puts you in the top 1% worldwide. Some truths are best said with humor: “I remember back when a liberal was someone who was generous with his own money.” It’s time to put a stop to unfunded entitlements and bring back personal responsibility balanced with community charity and caring. It’s local governments, families, friends, faith communities, and non-profits who are best at working together to help their neighbors. Depending on big government to do the caring while looking the other way from those in need is not American. Neither is electing politicians who will take from the rich to do your caring. America’s republic was created to protect citizens from the heavy-handed overreach of government. May America always choose freedom over “free” entitlements at the expense of our successful neighbors.